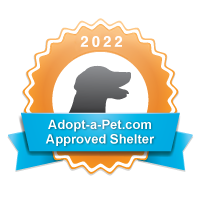 Our adoption process includes a pre-adoption interview to determine the type of home you will provide and will aid us in finding the right dog for you. We prefer that the dog do a trial run period in your home for up to a month before before adopting to ensure that both the adopter and the dog are sure that it is a good match. There is an application to be filled out, a home visit and adoption donation typically from $50 - $150 (non-refundable). All dogs are spayed or neutered and are up to date on all shots. We require you to sign a contract stating that the dog will live inside and that you will provide routine veterinary care and return the dog to us if it does not work out. These stipulations pertain to the entire life of the animal. You are able to call us for advice at any point. We will stand by your side and by the dog’s side every step of the way.